Clay caught three of six targets for 36 yards during Monday's 25-6 loss to the Patriots. Analysis: Clay has still yet to score this season or generate more than 40 yards in a game. Once a solid underneath target, Clay is on pace to set his lowest totals in receptions, targets and yards since 2012. Obviously, the revolving door of ineffectiveness at quarterback is leaving its mark, and things might get even worse Sunday as Nathan Peterman -- who has nine interceptions on just 81 career attempts -- might line up under center while taking on Chicago, one of the league's better pass defenses. Clay caught three of five targets for 14 yards during Sunday's 37-5 loss to Indianapolis. Analysis: Clay has now been held to 20 or fewer yards five time this season and has yet to top 40 yards or score in a game. Buffalo's entire offense has been plagued with inexperience, ineffectiveness or both at the quarterback position. In theory, Sunday's matchup against New England's bottom-10 pass defense could be an opportunity for Clay, but that would require placing a modicum of faith in Derek Anderson's right arm. Clay caught four of five targets for 20 yards in Sunday's 20-13 loss to the Texans. Analysis: Clay, who is frequently banged up and misses occasional practice time, has been relatively healthy lately, but the squirt gun Buffalo offense just can't get anyone going. He still hasn't seen the end-zone turf and has a season high of 40 yards. He's deep down the list of fantasy options, even though he sees clear-cut starter's time on the field. Clay, who was rested Thursday, does not carry a Week 6 injury designation. Analysis: The tight end is thus good to go Sunday against the Texans, but his early fantasy returns this season have been modest at best. Through five games to date, Clay has yet to score a TD and still hasn't topped 40 receiving yards. Overall, he's hauled in nine of his 15 targets for 99 yards in that span. Clay did not practice Thursday but the reason given was a veteran rest day, Chris Brown of the Bills' official site reports. Analysis: Clay's production has also taken a rest this season, as the tight end is still looking for his first score and hasn't gone over 40 yards in any game. If the Bills' reason for his absence is accurate, we'd expect him back in a full capacity Friday ahead of Sunday's game in Houston. Clay, who missed practice time with an ankle injury last week, played 75 percent of the offensive snaps and caught his only target for 12 yards. Analysis: The Bills only completed 10 passes on the day, so it's not like anyone else was taking over the passing game. However, Clay has been held to 40 yards or less in all five games this season and has yet to find the end zone. You can safely keep him on the waiver wire until the Buffalo offense starts proving to be more productive. That may take awhile, as the team sadly hasn't put up 300 yards of total offense in any game this season. Clay (ankle) is active for Sunday's game against the Titans. Analysis: Clay was limited at Wednesday's practice and sat out entirely the following day, but he is good to go for Week 5 on the heels of a full session Friday. Clay will square off against a Titans defense that surrendered 12 receptions and 125 yards to Eagles tight ends last week, but that has not allowed opposing tight ends to find paydirt all season. Clay (ankle) is listed as questionable for Sunday's game against the Titans after being listed as a full practice participant Friday. Clay (ankle) isn't expected to practice Friday, Chris Brown of the Bills' official site reports. 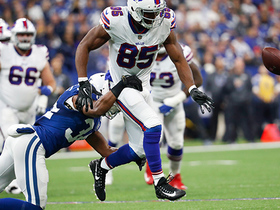 Analysis: With Clay trending in the wrong direction as Sunday's game against the Titans approaches, it looks as though Jason Croom and Khari Lee could head the Bills' tight-end corps. The Bills will offer a formal injury designation for Clay after Friday's practice concludes. 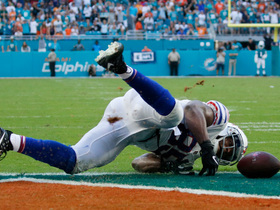 Clay (ankle) did not practice Thursday after being limited Wednesday, Chris Brown of the Bills' official site reports. Analysis: Clay often plays after sitting out a chunk of the practice week, but the fact he apparently couldn't go at all Thursday leaves him sketchy for this week's game against the Titans. He's coming off his only good game of the season with a four-catch, 40-yard outing in Sunday's loss to the Packers, though he's still looking for his first score a quarter of the way through the season. Clay was limited at Wednesday's practice due to an ankle injury. Analysis: Though his reps were restricted during the Bills' first practice of the week, it's expected that he'll be ready to go for Sunday's game against the Titans. His 40 yards in the Bills' Week 4 loss to the Packers actually led the team, but the tight end has struggled to be a viable fantasy option through the quarter pole of the 2018 season. He's managed only eight receptions for 87 yards on 14 targets and has yet to reach the end zone. Clay is expected to be a limited participant in Wednesday's practice, Chris Brown of the Bills' official site reports. Clay caught four of six targets for 40 yards in Sunday's 22-0 loss to the Packers. Analysis: Clay came off the field with what looked like an ankle injury at one point, but he was able to tough it out. The veteran tight end led his team in receiving yards in a contest that saw rookie quarterback Josh Allen throw for just 115 yards. It's hard to trust anybody in Buffalo's offense ahead of a Week 5 clash with the Titans. Clay (shoulder) is active and starting the Week 4 matchup against Green Bay. Clay (shoulder/hip) returned to a limited practice Friday and is listed as questionable for Sunday's game against the Packers. Analysis: Clay is off to a slow start through the Bills' first three games, having logged just four receptions for 47 yards on eight targets. 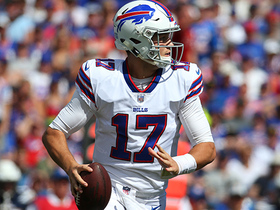 It's possible that he'll emerge as a reliable target for rookie QB Josh Allen, but we need to see that actually transpire before endorsing Clay as a lineup option. In any case, the tight end's Week 4 status will be clarified in advance of the first wave of games Sunday, with the Bills kicking off at 1:00 PM ET. Clay (shoulder) was listed as a non-participant in Thursday's practice. Analysis: As was the case Wednesday, Clay was present for the Bills' practice session Thursday while donning a non-contact jersey. It was believed Clay's activity would translate to a limited participation tag for the second straight day, so it's somewhat concerning that the Bills downgraded his listing. Clay's availability for the Week 4 matchup with the Packers now looks more questionable than it initially did, a less-than-ideal development with fellow tight end Jason Croom (knee) also banged up. Clay (shoulder/hip) was spotted in a non-contact jersey at the beginning of Thursday's practice, Mike Rodak of ESPN.com reports. Analysis: Clay donned the same jersey during the Bills' first practice of the week Wednesday, during which he was listed as a limited participant. It appears he'll be in line for a similar designation again Thursday while he continues to manage shoulder and hip injuries. 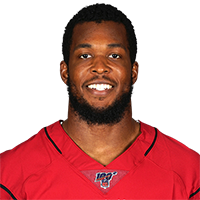 If either issue prevents Clay from playing Week 4 against the Packers, Jason Croom would profile as the Bills' top pass-catching tight end after the team made Logan Thomas inactive in last Sunday's win over the Vikings. Clay was limited at Wednesday's practice due to shoulder and hip issues, Mike Rodak of ESPN.com reports. Analysis: Clay has never been a stranger to the injury report, though because his latest setback isn't related to his chronic knee issues and because he was able to get through a limited practice, it's assumed that he'll be ready to play when Sunday's game against the Packers arrives. The tight end has been a disappointment through the Bills' first three games, managing only four receptions for 47 yards on eight targets. Clay was sporting a non-contact jersey at Wednesday's practice and is expected to be listed as a limited participant, Sal Capaccio of WGR Sports Radio 550 Buffalo reports. Clay hauled in two of three passes for 18 yards during Sunday's upset win over the Vikings. Analysis: Impressive as the Bills' win was, the passing game was kind of quiet, and only running back Chris Ivory eclipsed 30 receiving yards. Clay now has just 47 receiving yards over three games and remains an unexciting fantasy option in a passing attack that should be below average most of the season. Clay caught two passes on three targets for 29 yards during Sunday's loss to the Chargers. Analysis: The veteran was shut out in the first game, so at least he was more involved Week 2. Clay saw action on 69 percent of the offensive plays, while Logan Thomas was in on 31 percent of the plays and Jason Croom saw 26 percent. Clay still has good pass-catching chops, but he's got a low ceiling and could struggle to find meaningful production in an offense that may limp along for much of the season, with a few options ahead of him in the passing game. Clay caught four of six targets for 24 yards in Sunday's preseason loss to the Bengals. Analysis: This is the type of stat line the 29-year-old tight end is known for, though six yards per catch is obviously on the low end even for him. Clay, Kelvin Benjamin and LeSean McCoy are the only safe bets to draw regular targets from whichever player ends up winning the QB competition in Buffalo. Clay did not participate in Sunday's practice for an undisclosed reason, Mike Rodak of ESPN.com reports. Analysis: The Bills' No. 1 tight end was also a non-factor during Friday's preseason win over the Browns. Clay may not be dealing with a significant injury, but backup Nick O'Leary produced four receptions for 70 yards and a touchdown in place of Clay on Friday. Clay is the leader of a Buffalo tight end group that didn't add any new players during the offseason, Jay Skurski of The Buffalo New reports. Clay brought in three of five targets for 15 yards in Sunday's 10-3 AFC wild-card loss to the Jaguars. Analysis: Clay was able to overcome an in-game hamstring injury and finish out the contest. His catch total was a team high, but his middling 5.0 YPC spoke to the minimal impact he had overall. The modest numbers represent an underwhelming finish to a strong season for Clay, one that saw him bring in 49 of 74 targets for 558 yards and two touchdowns while fumbling once over 13 games. Clay returned Sunday's playoff game against the Jaguars after previously exiting with a hamstring injury. Analysis: The Bills' offense Sunday has largely been driven by running back LeSean McCoy, who is toughing things out through an ankle injury. The return of Clay, however, does at least give QB Tyrod Taylor another familiar option in the passing game. Clay was forced out of Sunday's playoff game against the Jaguars with a hamstring injury. Analysis: Clay has been managing a knee issue of late, with the hamstring injury representing a new health concern for the tight end. Prior to his exit from Sunday's contest, Clay caught his only target for no gain. Clay (knee) does not carry an injury designation for Sunday's playoff game against the Jaguars. Analysis: Clay's practice limitations this week were nothing out of the ordinary and maintenance-related, so his removal from the Bills' final injury report in advance of wild-card weekend was fairly routine. With running back LeSean McCoy (ankle) banged up, Clay figures to be a key cog in the Bills attack Sunday, though it's hardly a cake matchup for the tight end against the rugged Jaguars passing defense. Clay (knee) was a limited participant in Wednesday's practice. 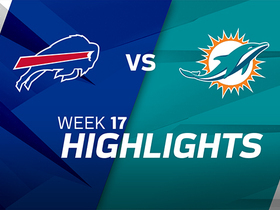 Analysis: Clay, as has been the case for several games down the stretch, was able to play through the nagging knee injury in the Bills' regular-season finale, posting six catches for 64 yards on eight targets in a 22-16 win over the Dolphins. The Bills' top tight end should be ready to go for the team's wild-card matchup Sunday against the Jaguars. 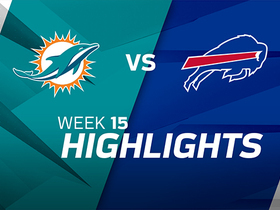 Clay brought in six of eight targets for 64 yards in Sunday's 22-16 win over the Dolphins. Clay (knee) doesn't have an injury designation for Sunday's contest in Miami. Analysis: Since sitting out three games midseason due to a knee injury, Clay's practice reps have been monitored weekly with game day in mind. Consequently, he's been able to handle at least 60 percent of the offensive snaps in six of the last seven contests. Tyrod Taylor has looked Clay's way 19 times over the last two games, including a Week 15 matchup against the Dolphins in which the tight end hauled in five of nine passes for 68 yards. Clay (knee) will be limited during Wednesday's practice, Mike Rodak of ESPN.com reports. Analysis: Clay's knee is an ongoing issue and the team monitoring his reps throughout the week has become the standard since he returned from a three-game absence in Week 10. He's in line to play Sunday against the Dolphins in a must-win game for the Bills, who are in the mix for their first playoff berth since 1999. Clay turned a team-high 10 targets into just four catches for 37 yards in Sunday's 37-16 loss to the Patriots. Analysis: Clay almost scored a touchdown late in the first half, but failed to survive the ground after hauling in the ball. Quarterback Tyrod Taylor loves throwing to his veteran tight end, so Clay will be a high-floor option when Buffalo attempts to end an 18-year playoff drought next week in Miami. Clay (knee) doesn't have a designation for Sunday's game in New England. 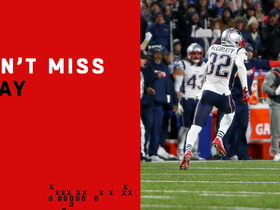 Analysis: Clay is three weeks removed from his last showdown with the Patriots, who contained him to his third-fewest yards (20) in an appearance this season. He is coming off a campaign-best nine targets, though, a workload that could help Clay produce if he's more of a focal point in the passing attack. Indeed, Kelvin Benjamin continues to push through a knee injury, making Clay one of Tyrod Taylor's more reliable pass catchers. Clay (knee) was limited at practice Wednesday. Analysis: Clay was on the field for 76 percent of the Bills' snaps on offense in Week 15's win over the Dolphins, en route to hauling in five of his nine (tied for a season-high) targets for a team-high 68 receiving yards. With his practice limitations Wednesday likely linked to routine maintenance, we expect Clay to be fine for Sunday's game against the Patriots. He'll be needed too, considering the banged-up state of his team's wideout corps. Clay (knee) caught five of nine targets for 68 yards during Sunday's 24-16 win over Miami. Analysis: The nine targets tied a season high for Clay, and his five catches and 68 yards were his most since going down in early October with a midseason knee injury. The veteran tight end will get another opportunity to beat up on the Dolphins in Week 17 but will have to take on the Patriots first. New England held Clay to just 20 yards in a 23-3 Week 13 win over the Bills. Clay (knee) doesn't carry an injury designation for Sunday's game against the Dolphins after practicing fully Friday. Analysis: Clay is coming off back-to-back quiet efforts, but working in his favor is that the weather conditions for Sunday's home game against his former team won't be nearly as challenging as the snow and high wind that turned the Week 14 win over the Colts into a run-driven affair. Moreover, the return of quarterback Tyrod Taylor should aid Clay, who could end up being a key target in Week 15 with the Bills' top wideout, Kelvin Benjamin, still dealing with knee soreness. Bills head coach Sean McDermott said Clay (knee) will be a limited participant in practice Wednesday, Chris Brown of the Bills' official site reports. Clay brought in two of five targets for 11 yards in Sunday's 13-7 overtime win over the Colts. Analysis: The air attack for both teams was decidedly underwhelming in Sunday's blizzard-like conditions, so that must be factored in when considering Clay's minimal contributions. The veteran tight end should enjoy an expanded role for the balance of the campaign with Jordan Matthews (knee) now on injured reserve and Kelvin Benjamin having exited Sunday's contest with a knee injury of unknown severity. Clay (knee) was a full participant at Thursday's practice. Analysis: Clay is good to go for Sunday's game against the Colts, who have struggled to contain the pass this season. One key moving part in terms of Clay's Week 14 fantasy upside, however, is the status of QB Tyrod Taylor, who is currently dealing with a knee issue that limited him to individual drills Thursday. 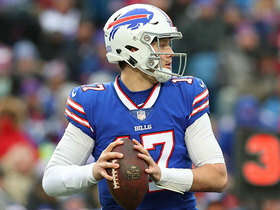 Updating a previous report, Clay (knee) didn't practice Wednesday after he was initially expected to have a limited showing, Mike Rodak of ESPN.com reports. Analysis: Clay has been frequently limited in practices in an attempt to preserve the wear and tear on his balky knee, but the complete absence Wednesday is a step back from three limited showings last week. If Clay makes even a limited appearance Thursday, however, fantasy owners shouldn't have much concern over his status for Sunday's game against the Colts. Clay (knee) brought in all three of his targets for 20 yards in Sunday's 23-3 loss to the Patriots. Clay (knee) is listed as active for Sunday's game against the Patriots. Analysis: Clay has seen both his workload and productivity pick up in each successive contest since returning from a three-game absence, having caught four passes for a team-high 60 yards in Week 12's triumph over the Chiefs. With big-bodied wideout Kelvin Benjamin (knee) out again this week, Clay figures to be firmly on QB Tyrod Taylor's radar Sunday against a New England squad that has reeled of seven straight wins. Clay (knee) was limited for the third straight practice Friday and is listed as questionable for Sunday's game against the Patriots. Analysis: This has been standard procedure for Clay since he returned from a minor knee surgery three games ago. Clay will almost certainly suit up Sunday and looks like he could be close to regaining his strong early-season form; he's seen his snap count and productivity in the passing game pick up in each successive contest since returning from injury, culminating in a four-catch, 60-yard effort in last week's win over the Chiefs. 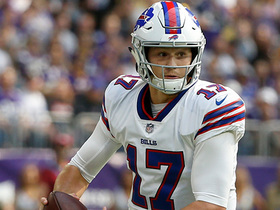 Clay (knee) will be a limited participant during Wednesday's practice, Mike Rodak of ESPN.com reports. Clay (knee) caught all four of his targets for 60 yards in Sunday's 16-10 win at Kansas City. Analysis: The majority of Clay's yards came on a 33-yard catch that resulted from a whiffed interception attempt by a Kansas City safety. He was easily Buffalo's leading receiver in this one and amassed his second-highest yardage total of the season. Despite his heavy involvement when the team opts to pass, the tight end's fantasy value in Buffalo's run-heavy scheme remains limited. Clay (knee), as expected, is active for Sunday's game in Kansas City, Chris Brown of the Bills' official site reports. Clay (knee) is expected to play Sunday against Kansas City, a source informed Adam Schefter of ESPN. Analysis: Clay was limited in practice all week and listed as questionable for Week 12 on the Bills' final injury report, but he'll apparently be ready to go as Buffalo looks to snap a three-game losing skid. The return of Tyrod Taylor under center helps Clay's fantasy prospects, though his fantasy production is still touchdown dependent. Clay (knee) is listed as questionable for Sunday's game versus the Chiefs after practicing in a limited fashion all week. Clay (knee) was limited for the second straight practice Thursday, Chris Brown of the Bills' official site reports. Analysis: Clay was DNP-limited-limited last week and still played in the Week 11 loss to the Chargers, so the odds are good he'll play in Week 12 even though the odds are also good he'll end up with a questionable designation Friday. The Bills play in the early wave of games Sunday, were Clay could be a factor in the passing game if one or both of wide receivers Kelvin Benjamin and Jordan Matthews have to sit. Clay (knee) was limited at Wednesday's practice. Analysis: Clay has been quiet in two games since returning from the knee injury, catching five passes for 40 yards on seven targets. Tyrod Taylor's return to the starting role at quarterback is probably good news for the veteran tight end, though he'll still be tough to trust against a Kansas City defense that has surrendered a league-low 34 completions to tight ends this season. Clay probably isn't in much danger of missing Sunday's game. 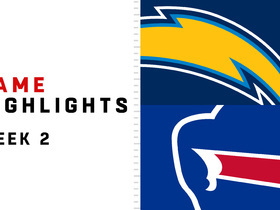 Clay (knee) caught three of four targets for 27 yards in Sunday's 54-24 loss to the Chargers. Clay (knee) is listed as active for Sunday's game against the Chargers. Analysis: Following a three-game absence, Clay hauled in just two of three targets for 13 yards in last Sunday's 47-10 loss to the Saints, but with that contest under his belt, he could be more involved this weekend, assuming no setbacks with his knee. That's a scenario that could be in effect Sunday if the tight end holds up well enough to provide Buffalo's new starting signal-caller, Nathan Peterman, with a safety valve in the team's passing game. Bills head coach Sean McDermott is optimistic Clay (knee) will play Sunday against the Chargers, according to Ian Rapoport of NFL Network. Analysis: Clay was limited in practice Thursday and Friday, but with no reported setbacks in his knee after returning from a three-game absence following a knee scope, it appears he should be good to go Sunday. Clay (knee) is listed as questionable for Sunday's game against the Chargers. Clay (knee) returned to a limited practice Thursday. Clay (knee) didn't practice Wednesday. Analysis: Clay returned from a month-long absence in time to play in Sunday's 47-10 loss to the Saints, catching two of three targets for 13 yards while playing 60 percent of the offensive snaps. With no setback reported, Clay likely is just missing practice for maintenance reasons ahead of a Week 11 road game against the Chargers. Clay will have two more days of practice to get acclimated with rookie signal caller Nathan Peterman, who was named the starter over Tyrod Taylor for the upcoming game. Clay caught two of three targets for 13 yards in Sunday's 47-10 loss to the Saints. Analysis: Making his return after a month-long absence, Clay was unable to make a significant impact as the passing attack struggled mightily as a whole. The big target had established a strong rapport with Tyrod Taylor prior to undergoing knee surgery that should begin to rekindle sooner rather than later. Another week removed from the injury, Clay should be further integrated into next week's game plan against the Chargers. Clay (knee) is listed as active for Sunday's game against the Saints. Clay (knee), who is listed as questionable for Sunday's game against the Saints, is considered likely to play, a source informed Ian Rapoport of NFL Network reports. Analysis: Clay has been sidelined for nearly a month following a procedure to address a torn meniscus and sprained MCL, missing the Bills' last three games as a result. While Clay may not quite be back to 100 percent Sunday, he was able to put turn in a full week of limited practices, which will likely be enough for the Bills to give him the green light to suit up. If that's the case, Clay would presumably take back his starting role at tight end from Nick O'Leary. Clay (knee), who's practiced on a limited basis all week, is listed as questionable for Sunday's game against New Orleans, Chris Brown of the Bills' official site reports. Analysis: Coach Sean McDermott has hinted all week that Clay will be ready to return following a three-game absence, so consider him on the better side of questionable. That said, it wouldn't be a surprise to see him on a more limited play count than usual. Clay (knee) was listed as a limited practice participant Thursday. Analysis: That said, it's expected that Clay will return from a three-game absence to play Sunday against the Saints. The Bills could ultimately elect to officially list the tight end as questionable for the contest, however, and it seems logical that if he does play his workload will be kept in check. Clay (knee) is taking part in the Bills' practice Thursday, Joe Buscaglia of 7 ABC Buffalo reports. Analysis: Clay could be upgraded to a full practice participant Thursday after he was limited during the Bills' first session of the week, but even if there's no change in his status, it appears he'll be ready to play Sunday against the Saints. If that's the case, Clay should take back starting duties at tight end and see a healthy snap count, with Nick O'Leary fading into a backup role at the position. Clay (knee) is on track to play Sunday against the Saints, John Murphy of the Bills' official site reports. Analysis: Clay practiced Wednesday in a limited fashion, according to Chris Brown of the team's official site, and barring any setbacks, the tight end is slated to return from a three-game absence. He'll look to reprise the rapport he enjoyed with quarterback Tyrod Taylor prior to requiring a procedure to address the knee injury, which allowed Clay to haul in 20 passes for 258 yards and two touchdowns through the Bills' first five outings. Clay (knee) will practice on a limited basis Wednesday, Mike Rodak of ESPN.com reports. Analysis: Clay has missed the Bills' last three games after requiring a knee procedure, but he has a decent shot to return Sunday against the Saints. Head coach Sean McDermott should provide more clarity on Clay's status for Sunday as the practice week unfolds. Clay (knee) didn't practice Monday but did dress and performed work off to the side, Chris Brown of the Bills' official site reports. Analysis: Coach Sean McDermott continues to call his starting tight end day-to-day, but it may not be until Wednesday's practice before a better idea regarding Clay's outlook for the Week 10 game against the Saints comes forth. Bills head coach Sean McDermott said Friday that it's "realistic" for Clay (knee) to play in the team's Week 10 matchup with the Saints, The Buffalo News reports. Clay (knee) has been ruled out for Thursday's game against the Jets, Chris Brown of the Bills' official site reports. Analysis: Clay was facing an uphill battle all along to return to action on a short week, and his lack of participation in practices Monday through Wednesday ultimately sealed his fate. With Clay set to miss a third consecutive game, Nick O'Leary will once again step in as the team's starting tight end.